This weekend is Lafayette's annual beer festival, known as Gulf Brew. 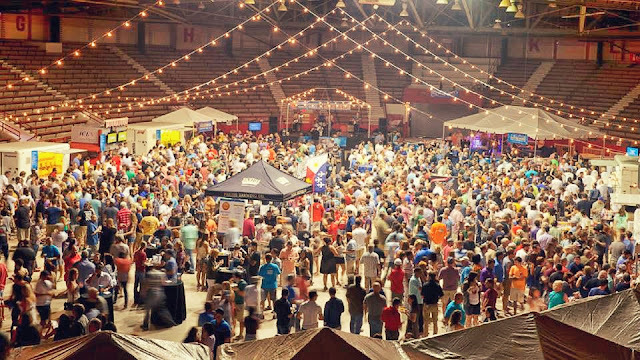 It always draws a huge crowd, where attendees can sample a ton of beers from local, craft and larger breweries. The proceeds benefit Acadiana Center for the Arts, helping to continue Lafayette's strong arts culture. As fun as Gulf Brew is, it inevitably creates a lot of waste, from the countless plastic sampling cups to the hundreds of glass bottles being discarded. This year, event organizers are expecting around 1,000 attendees to sample brews from a number of individual breweries. However, this year, Gulf Brew is taking steps to reduce some of its waste and divert as much glass as possible from the landfill. Thanks to some dedicated volunteers, the glass thrown out at Gulf Brew will be collected and recycled through Target's glass recycling program. Esther, the volunteer handling the effort, says that they are expecting to bring around 1,500 glass bottles to Target, with the store's permission, to be recycled. Throughout the entire event, approximately 200 volunteers will be on-hand. Some of those volunteers will help to collect the bottles and load the bags on trucks to bring to the store. It's a great effort that will make a big impact, especially in a community where glass materials are not accepted in the curbside recycling program.